How to Fix HTTP Error 503 Service Unavailable? In most cases this could happen (assuming there are no faults in your app) if there are long running tasks and as a result the request queue is backed up. Almost always, the 503 Service Unavailable Error is on the website itself and there's nothing you can do about it but try again later. Click the reload button on your web browser or press F5 on your keyboard to reload the webpage. Then check to see if your HTTP Error 503 disappears. There should be a chance that the web-server not able to find the appropriate source file from its location and there should be some incorrect configurations happened on the DNS server configurations from client side (router or computer), which a simple restart of both might correct. If you are sure to the website is up and running for other people, there's a good chance that this error is caused by malware infection . These malware codes can cause many problems in your system, including blocking access to your favourite websites. Scan your computer thoroughly with antivirus software . Over time, your system accumulates junk files from normal web browsing and computer use. If this junk isn't occasionally cleaned out, it will cause Windows Operating System to respond slowly or provides a Service Unavailable error, possibly due to file conflicts or an overloaded hard drive. 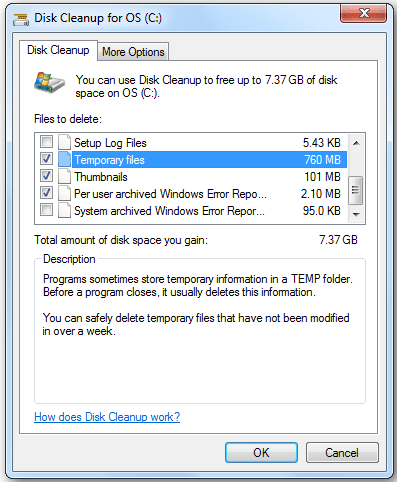 Disk Cleanup is a useful built-in Windows tool that can quickly remove temporary files from your system. If you have Refresh your web-page and restarted your devices, and still problem persists, it is likely that your 503 Service Unavailable error comes from the web server. As mentioned above, temporary overloading or maintenance being performed on the server. What you can do is to wait a little while, and then try accessing the site (or running the application) again. You will be able to visit the problem website when a number of visitors has left the site or the server has been repaired by the administrator. If you still get an error, it may be useful to contact the appropriate administrator or support, if it's available. Most sites have support based social media accounts and some even have phone numbers and email addresses. Actually, error 503 Service Unavailable code can be a result of bottleneck in the server chain that hosts your application. If you or an web admin have the ability to do so, one of the simplest solution is by restarting the server hosting the application. Make sure all servers are rebooted in the proper manner. You can bring the website back to normal by rebooting the server. 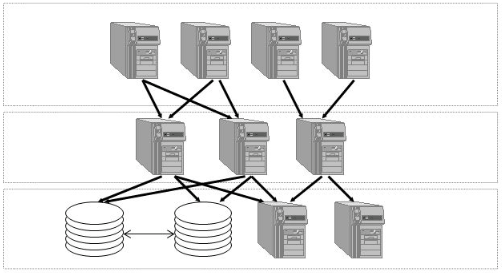 Modern applications don't reside on a single server , instead, be spread over multiple servers. This error can also be a signal that there is something wrong in the server chain. Maybe one part of the server chain is down or unreachable, which leads to HTTP error 503 service unavailable. Thus, finding out the real faulty section is your 503 service unavailable fix. Your Firewall is the gatekeeper of your web-server and it blocks potentially harmful data stream. However, it's entirely possible for a firewall configured somewhere on the network in which your application is running to be preventing some form of critical traffic from getting through. So, Check your firewall configuration to pinpoint and fix the issue. Application logs are typically the history of what the application did, such as which pages were requested , which servers it connected to, which database results it provides, and so forth. Therefore, you can check the logs with not only the health and status of all connected services, but also the server itself. Lastly, if the error is due to a programming error , further investigation will be required to pinpoint the issue and take steps to correct it.